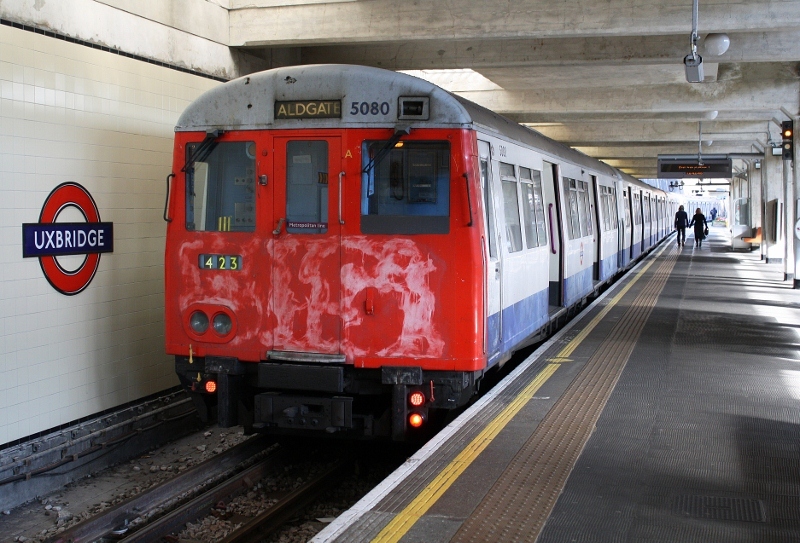 Martyn Hilbert's Railway Photography - London Underground - A60 5080 at Uxbridge. Showing the signs of a graffiti attack, 50 year old A60, 5080 sits under the concrete canopy at Uxbridge on the 22nd October 2011, before working a service to Aldgate. Uxbridge Station was designed by Charles Holden and was opened in 1938.